I’ve had a lot of time—and many trips—to perfect the process of planning a Seoul itinerary. 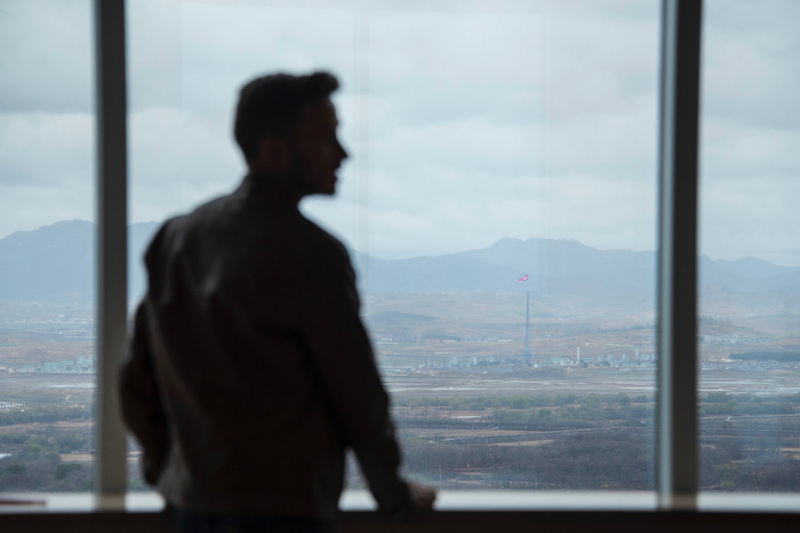 Every time I’ve returned to South Korea’s capital over the past several years, I’ve taken with me new knowledge and insights not only about Seoul itself, but about travel and the world in general. Some of the ways I’ve refined this post are therefore practical. For example, I now have a more nuanced response when it comes to how many days in Seoul to spend, and more specific recommendations therein, depending on how long you have. I’ve made other adjustments that are more esoteric. While I’ve of course expanded my list of places to visit in Seoul, my expanded spatial understanding of the city has had intellectual and even emotional ramifications, which I’m excited to pepper throughout the next few paragraphs. Need help planning your Seoul itinerary? Hire me as your Travel Coach! 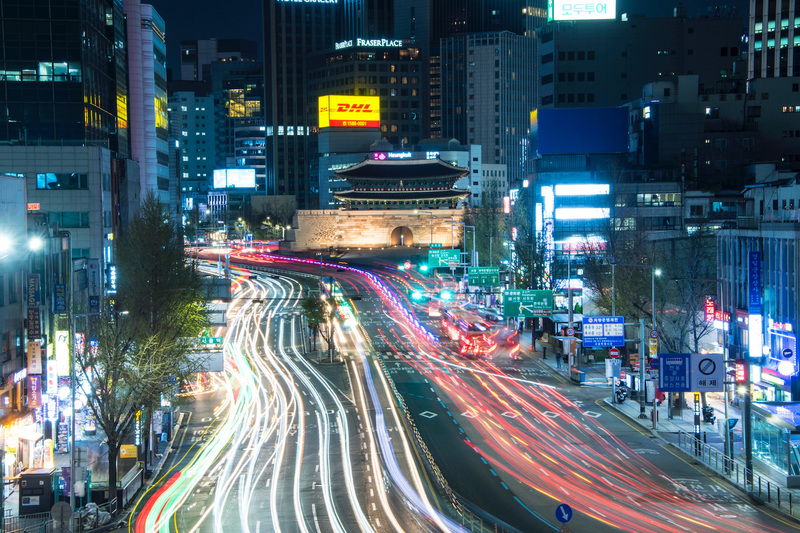 5 How Many Days Should You Spend in Seoul? Largely speaking, I’d say the best place to stay in Seoul depends upon how many times you’ve visited the city. When I took my first trip, for example, I was eager to base myself amid the traditional hanok guest houses of Bukchon Hanok Village. I still love this part of town, but during recent stays I’ve taken to more modern hotels in skyscraper-filled districts like Insadong and Myeongdong. The good news is that the Seoul itinerary I’m about to lay out will work regardless of where you stay. While sleeping in the traditional Sky Guesthouse in Bukchon will a longer walk to the metro than Insadong’s Makers Hotel or Myeongdong’s Royal Hotel, where you plan to stay in the city will have a relatively minimal impact on how your trip progresses. Seoul in spring is really something special, though I’m a bit biased because this is when my latest trip took place. 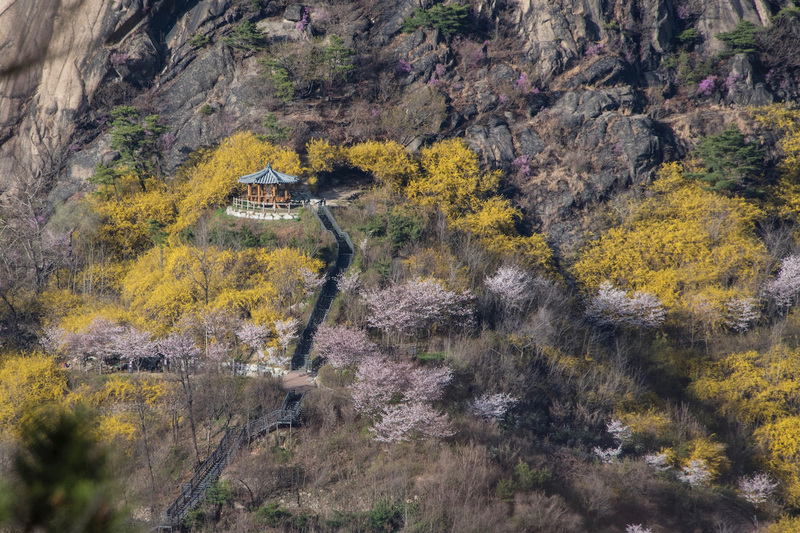 From cherry blossoms at the city’s palaces, to cool temperatures that are perfect for exploring on foot, to (mostly) sunny skies that allow you to make the most of each day, April is as close to the best time to visit Seoul as you’re doing to find during the year, with November being a close second. To be sure, the colors of autumn greatly enhance Seoul sightseeing, though in my opinion the greater chance for rain during this time of years make me prefer the canopies of beojkkoch (that’s Korean for “sakura”) that hang over the city during spring. Seoul is extremely cold in winter and very hot during the summer; I’ve been to the city during both these seasons and don’t necessarily recommend either. 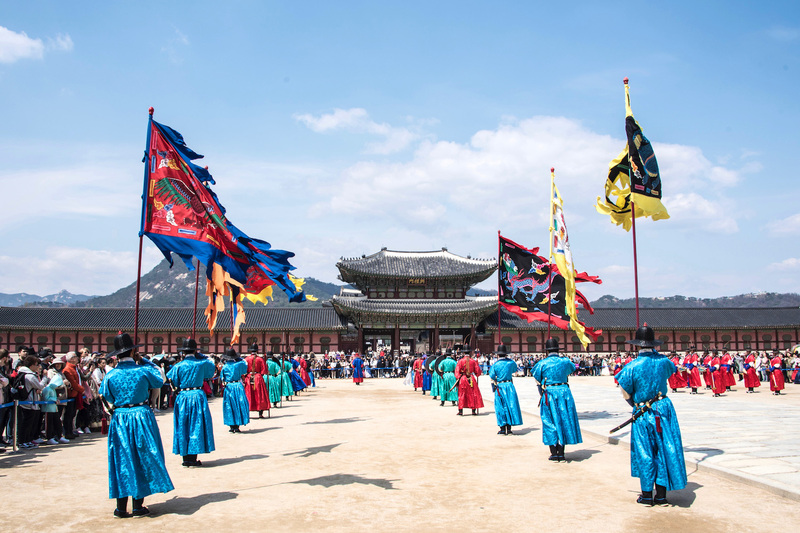 Whether you’re planning a Seoul 3 day itinerary or something longer, the pair of palaces—Gyeongbokgung and Changdeoukgung—that sit just north of Seoul’s city center are the perfect place to start. 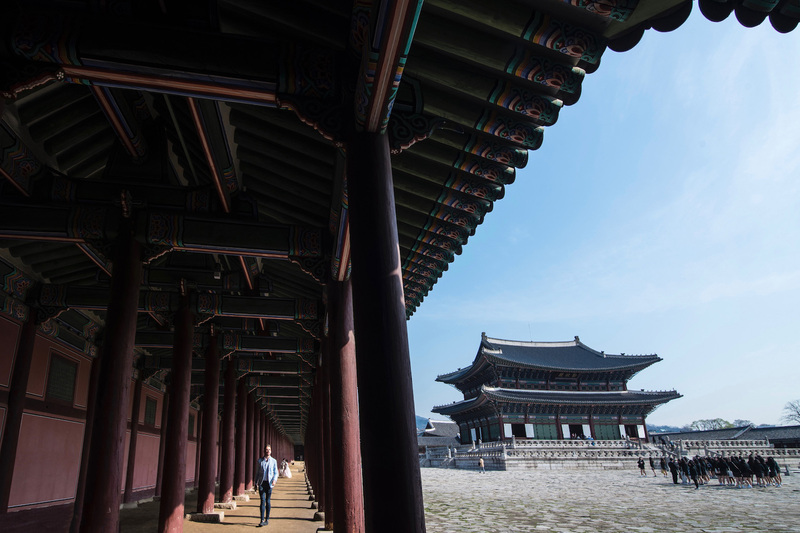 Neither of these structures are original, of course, though both (as well as Deoksugung, which sits just south of Gyeongbokgung) offer a glimpse back into the architectural and cultural customs of the Joseon Dynasty. Stopping at a local hanbok shop on your way into the palaces can enhance the historical feeling! If you want to see Seoul in 3 days and have plenty of energy to expend, take advantage of the city’s hilly geography. 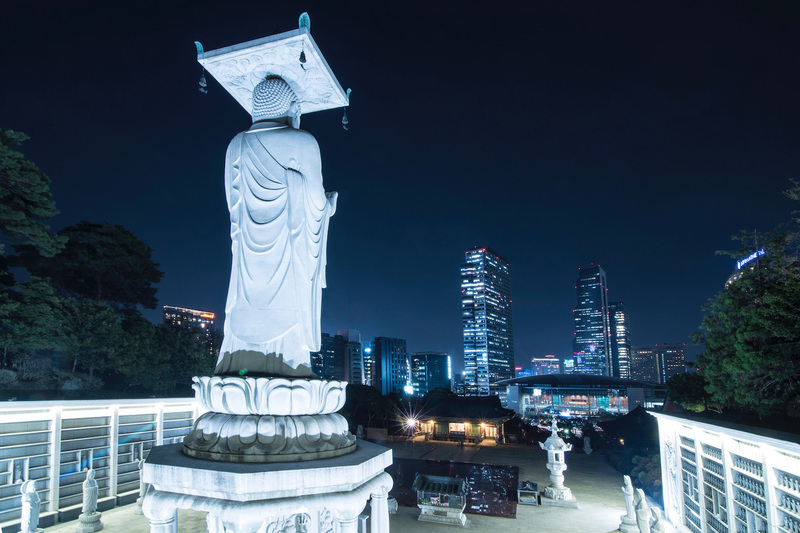 My personal favorite place to enjoy a panorama is atop Ansan mountain (specifically, via the trail that extends from just south of Muakjae metro station), which allows you to see all of Seoul’s city center, including landmarks such as N Seoul Tower and the new Lotte Tower super-skyscraper. On the other hand, you could scale Namsan Mountain or simply stroll along Cheyonggyecheon stream in the heart of the city. Either way, Seoul is great if you love being on your feet. Eating is an essential part of any Seoul itinerary, but I’ve found myself disappointed with many of the city’s brick-and-mortar restaurants. This is especially the case when it comes to Korean BBQ, since many of these places have a two-guest-per-table minimum, and I’m primarily a solo traveler. 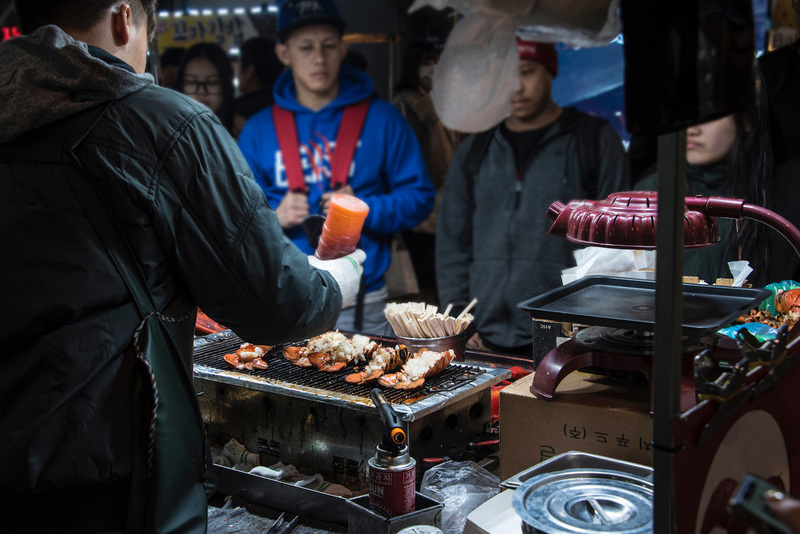 Although getting a bibimbap or a plate of steaming tteokboki rice cakes is less restrictive, Seoul’s street food game is very impressive. This is especially the case in Myeongdong, where you get simple dishes like fried chicken and goon mandu fried dumplings, as well as truly gourmet items like roasted lobster tails with cheese. When it comes to day trips from Seoul, going to the de-militarized zone (aka the DMZ) along the border with North Korea is probably the most popular, though you should know that a tour is required to come here. Additionally, I don’t find the destination itself extremely satisfying, though the overall experience is cool and worthy of ticking off your bucket list. Beyond this, day trips from Seoul are somewhat limited, since many other destinations throughout Korea (such as Seoraksan National Park and certainly, the city of Busan) are too far from the capital to see effectively in just a day; a possible exception is Suwon. A big part of deciding how many days to spend in Seoul is choosing which parts of the city you want to explore, as well as how many of them pique your interest. I’ll be going more into some of my favorite neighborhoods of Seoul below, from the shopping mecca of Myeongdong, to historical Bukchon, to nightlife districts like Insadong and Itaewon. I’ll also be discussing other areas of Seoul, from Gangnam (which I’d argue is somewhat over-hyped) to exhilarating Namsan and eclectic Namdaedum. Sandwiched right in the middle of the portion of Seoul that’s north of the Han River (the best part of the city, in my opinion), Myeongdong is certainly the most central among places to visit in Seoul, if not the best overall. 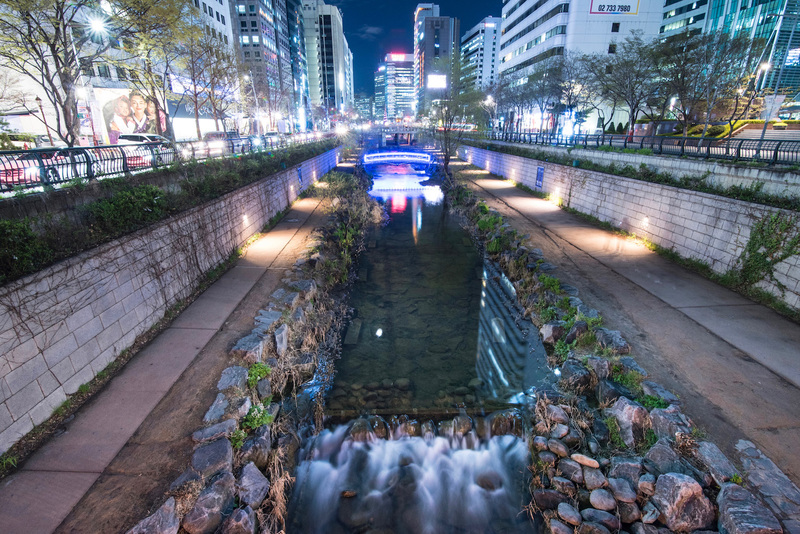 Certainly, some travelers will be put off by the strobing lights and the 24-hour foot traffic, even if attractions like Myeongdong Cathedral and Cheonggyecheon stream justify the district’s high profile. At minimum, I’d recommend using Myeongdong as a base for exploring some of the other places I’m about to mention. As I referenced earlier, Bukchon Hanok Village is probably my second-favorite place to base myself during a Seoul itinerary 3 days (or longer), although with a few exceptions there’s not a lot specific to see there—it’s more about the atmosphere the ancient hanok homes create. I sort of feel the same way about Insadong. On one hand, its neon signs are one of my favorite sights in Seoul to photograph, and I’ve sipped (OK—shot) soju in more of its bars than I care to count. On the other hand, it’s not necessarily replete with attractions. If you have just 2 days in Seoul (or less), you won’t get a chance to visit these neighborhoods—and that’s a shame! While the view from N Seoul Tower is slightly overrated, the hike up to the top of Namsan mountain is awesome and exhilarating, and will be even more so once repairs on the ancient-ish Seoul City Wall are completed. Likewise, I love exploring the area around Namdaedum Gate, from window shopping at Namdaedum Market, to taking in a panorama at “Sky Garden” at Seoul Metropolitan Library, to walking on the Seoullo elevated path that runs just north of Seoul Station. If nightlife (and in particular gay nightlife) is a big priority on your Seoul tour, you won’t want to miss out on a night (or several) in Itaewon. Located just south of Namsan mountain but just north of the Han River, Itaewon is home to famous LGBTQ+ establishments like Queen, Trance and Why Not, to say nothing of all the establishments that cater to a wider range of lifestyles. Of course, if you’re not a party animal (and I’m certainly not), Itaewon is convenient enough to visit simply to practice your night photography, or enjoy an evening stroll. 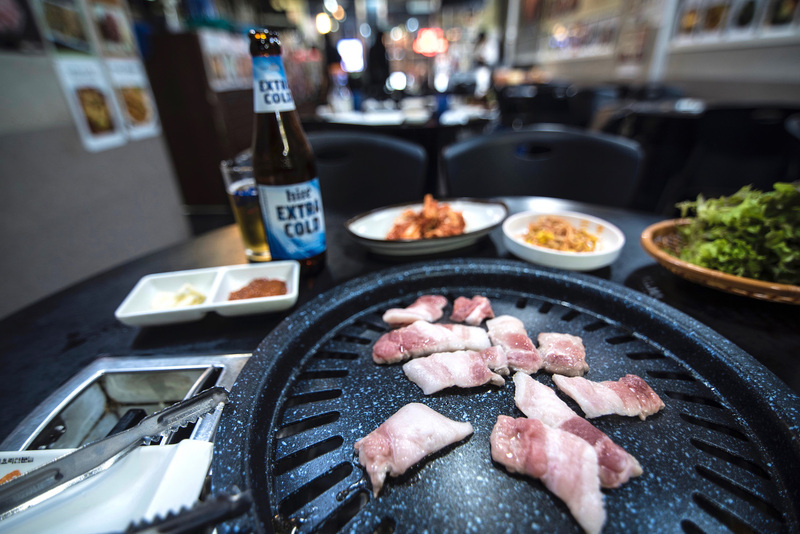 Student-filled Hongdae, among its other charms, is the cheapest place in Seoul to enjoy Korean BBQ. Gangnam is probably the most famous place on this Seoul itinerary for reasons I don’t need to explain. In spite of this, I’d say there’s less to do in Gangnam than in any other well-known area of Seoul. In fact, with the exception of Bongeunsa Temple (which is home to a 91-foot tall Maitreya Buddha statue), I’d say there’s not really a whole lot to do in Gangnam, apart from shopping at the futuristic COEX mall and, oddly, breathing some fresh air—Gangnam simply doesn’t seem as densely populated as Myeongdong, Insadong or even Bukchon Hanok Village. How Many Days Should You Spend in Seoul? Addressing how many days in Seoul to spend is something even I found difficult during my first several visits to the city. Initially, I thought that three days in Seoul (or so) was the ideal length of trip, while subsequent visits (and discoveries) led me to believe this might be too conservative a figure. I’ve moderated back to my original position during recent Seoul sojourns, but in general I’d say you should stay as long as you can. For instance, if the attractions and areas of the city I’ve listed above seem to fit well into your list of what to do in Seoul for 3 days, you might leave Seoul after that period, even if you come back later in your trip. On the other hand, if you want to take several day trips, or partake disproportionately in nightlife or shopping, then 5 days in Seoul (or longer) might be more what the doctor ordered. Whether you need a complete Seoul itinerary or just some inspiration for your trip, this is where you need to be. South Korea’s cosmopolitan, futuristic capital is as accessible for first-time visitors as it is complex enough to discover over and over again. 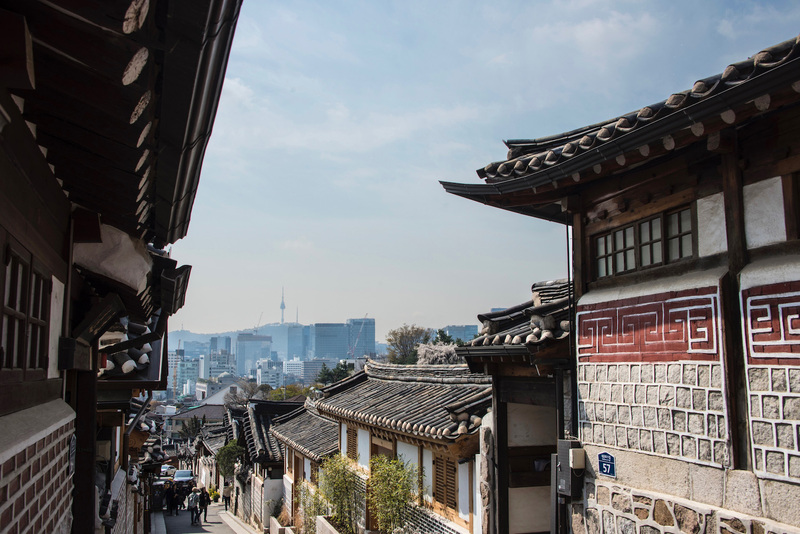 Base yourself in Bukchon Hanok Village and focus your energy on exploring the pair of palaces along Seoul’s northern periphery, or immerse yourself amid the neon lights of Myeongdong, whether an entire universe of shopping and street food away. Seoul starts here—and so does your trip there.